Over the weekend, I Twittered the following as I was trying to catch up on the latest iPhone 4 cellular radio no-you're-holding-it-wrong PR disaster. "Apple released that "official statement" about a software update coming in a few weeks to fix the iPhone 4 reception problem. 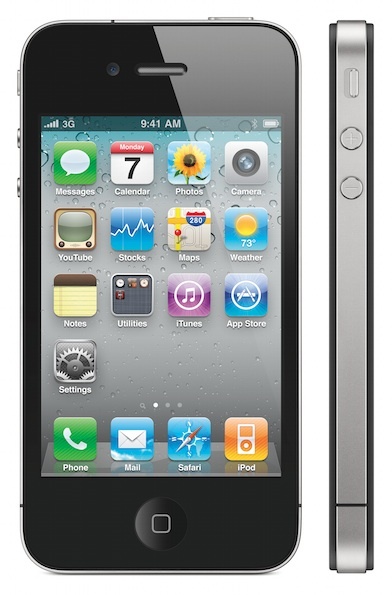 Apple claimed that there really isn't a problem, it's more of a psychosomatic issue with the signal bars on the iPhone 4. Apple will release an update to fix the signal bars displayed rather than fix what's really going on. Gizmodo is now reporting that when they spoke to AppleCare three different times today AppleCare confirmed the software update will NOT fix the reception issue. There is an antenna interference problem when you hold the iPhone 4 in a certain way (the tests by Anandtech and many demonstration videos in the internet show that the signal drop will happen every time when you touch the phone's dead spot, on the left bottom corner). One solution is to hold the phone differently, avoiding to touch the left bottom corner of the phone (coincidentally, this is how models hold the iPhone 4 in most of Apple's promotional material). The incoming software update will not fix this antenna problem, only change the way the phone displays the available signal, make it more accurate." Any way you cut it, this is a poor situation to be in for iPhone 4 customers. Apple has stated in an open letter on their website that, "[a]s a reminder, if you are not fully satisfied, you can return your undamaged iPhone to any Apple Retail Store or the online Apple Store within 30 days of purchase for a full refund." I don't have an iPhone 4, but I am in support of the free Apple iPhone bumpers idea being floated around. Apple is sitting on a mountain of cash, and what better way to make lemonade out of lemons than giving away free bumpers until Apple is able to re-engineer the radio dead spot? So how about it, Apple? Are you guys game? The legions of Apple fans have earned a little kick-back for their fanatical support over the last 10 years. Alan, I'm no lawyer but I wonder if this doesn't have something to do with the coming class action lawsuits. I remember with the Nano lawsuit that just recently settled, one of the justifications in the legalese was that while Apple originally packaged the iPod Nano without protection, they eventually started packaging sleeves. This presumably showed Apple's awareness of the problem with Nanos showing sratches. I bet if they send out free bumpers to all iPhone 4 owners, they're admitting they have a flaw and are more likely to lose a lawsuit.